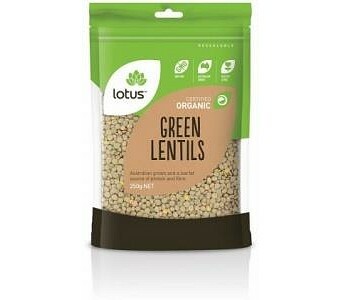 Lotus Organic Green Lentils are Australian grown and a low fat source of protein and fibre. Ingredients: Organic Green Lentils. Certified Organic by NASAA.